Big Fundraising Pack of Tattoos for Boys. Tattoos are a popular fund raiser at Summer fetes and this selection is a real hit. 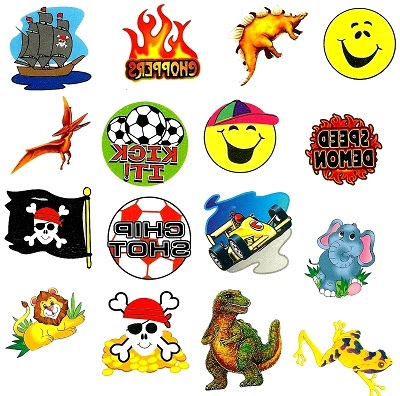 A large pack of 120 tattoos with varied designs popular with boys. Contents may vary: image shown is only a guideline. Size approx. 4cm by 4cm. Each tattoo individually packed, ideal for selling at events.